I am writing to ask the Regulatory Reform Committee to examine why the Michigan Liquor Control Commission continues to maintain “post and hold” rules designed to facilitate tacit price collusion between Michigan’s beer and wine wholesalers. The result is to keep prices of those products artificially high, which pads the bottom line of a handful of politically well-connected special interest beneficiaries at the expense of consumers. How much does this cost the residents you represent? 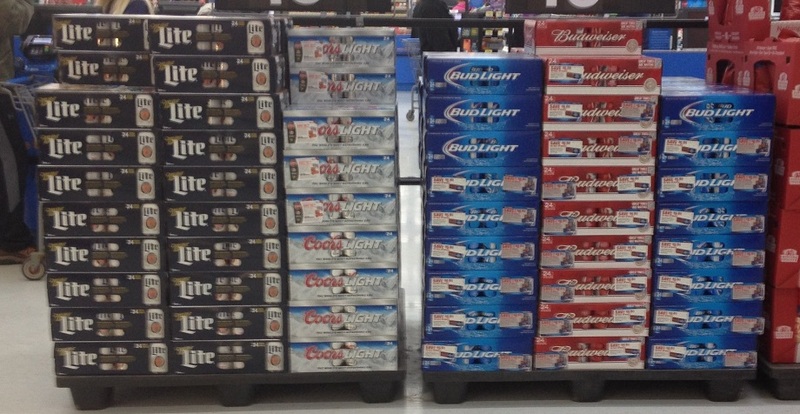 One study estimates that post and hold rules raise the price of beer and wine products by 6.4 percent to 30 percent. These rules mandate that beer and wine manufacturers and wholesalers post prices of their products with the commission, which then makes them available to anyone who wants to review them – namely other manufacturers and wholesalers. Once posted, the prices may not change for a length of time that depends on the product. This rule suffocates competition by alerting other industry players to price changes, and then freezes those prices (the "hold" in "post and hold") in place. Before your committee on Wednesday sits Mr. Andy Deloney, chairman of the Michigan Liquor Control Commission. It is my hope that the committee might use this opportunity to inquire as to why such anti-competitive rules continue to be maintained by the commission. Remember, these are rules that are adopted by political appointees, not laws voted on by our elected representatives. The commission doesn’t know why the rule was created, but Mr. Deloney omitted a response as to why the rule was still justified. I’m not surprised. There is simply no economic justification whatsoever for maintaining a rule that transfers vast sums of wealth from consumers to a few dozen crony capitalist beer and wine wholesalers. I’m hardly the first to raise this concern. For example, in 1979 none other than Gov. Bill Milliken also did so in a letter to the commission’s then chair, Stanley Thayer, writing that such rules (post and hold among others) “stand in the way of real price competition, a cornerstone of our free enterprise economy.” He asked that such rules be amended or rescinded. As you know, state law allows for residents to request rule rescissions and changes. I requested last June that Michigan’s post and hold rules be stripped from the Administrative Code. The commission’s response, recorded in official meeting minutes, was to deny my request and for reasons that were contradictory at best. You can read my full rejoinder to their denial here. Tuesday, I learned that the Office of Regulatory Reinvention did approve the liquor commission's request to review the Administrative Code’s Beer and Wine rules late last month. It is my hope that the commission will see the wisdom of repealing these harmful rules during the review process. Lastly, you should know that the Mackinac Center Legal Foundation filed a lawsuit against the commission on Jan. 22 over Freedom of Information Act fees related to my continuing research on post and hold. The commission insisted that we pay $1,550 to copy 6,000 pages of documents despite the fact that we made it clear physical paper copies were unnecessary. All we sought at this stage of our research was to acquire an electronic copy of 2.5 months’ of spreadsheet data kept by the commission on prices submitted in conjunction with the post rule. We eagerly await the commission’s response. This may not be the last lawsuit we file related to the state’s post and hold rules. Recent cases elsewhere suggest that courts take a dim view of such competition-stifling regulations. 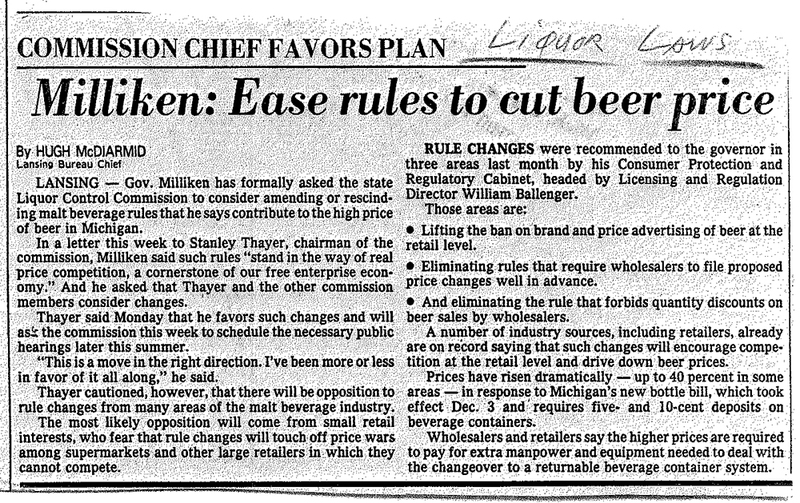 In the meantime, your committee could perform a valuable public service by getting the chair of the Michigan Liquor Control Commission to justify precisely why these competition-suppressing rules continue to remain in the state’s Administrative Code. If he cannot do so then perhaps you should consider following up by advancing legislation to repeal it. To see a compendium of the Mackinac Center’s work on alcohol regulation, visit www.mackinac.org/1933. It won’t surprise you to learn that post and hold rules alone are not the only regulations on the books that directly benefit Michigan’s beer and wine wholesalers at consumers’ expense. Homeowner: Are All Uses Not ‘Permitted’ By Zoning Forbidden?